They say a good sidekick is worth his weight in gold, but is he worth his weight in pennies? 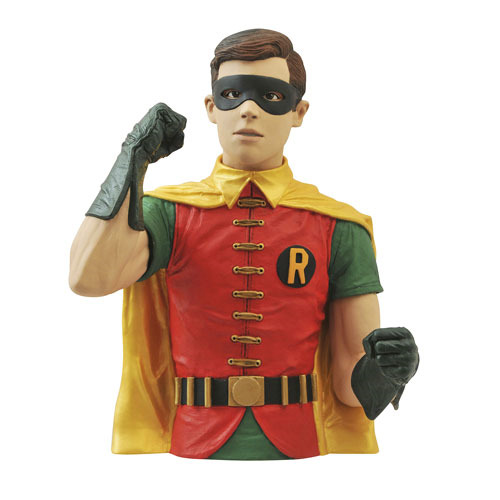 This 8-inch bust of Robin as he appeared in the Batman Classic 1966 TV Series is actually a vinyl bank, with detailed sculpting and paint to make it resemble a high-end collectible. With a coin slot on the back and an access door in the base, you''ll be saying, "Holy savings, Batman!" Packaged in a clear polybag. Ages 8 and up.